The first thing we learn about Islam is that it is a religion of peace. Islam teaches you how to be humble, how to be respectful of other people and their faith, how to be grounded to your faith. 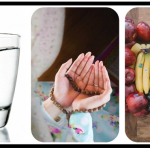 Fasting is one of the five pillars in Islam and it holds the utmost importance in our lives and in Islam because fasting teaches you all the basic things that Islam is all about. As we get older, we learn more about our religion, we get more open to the concept of fasting. 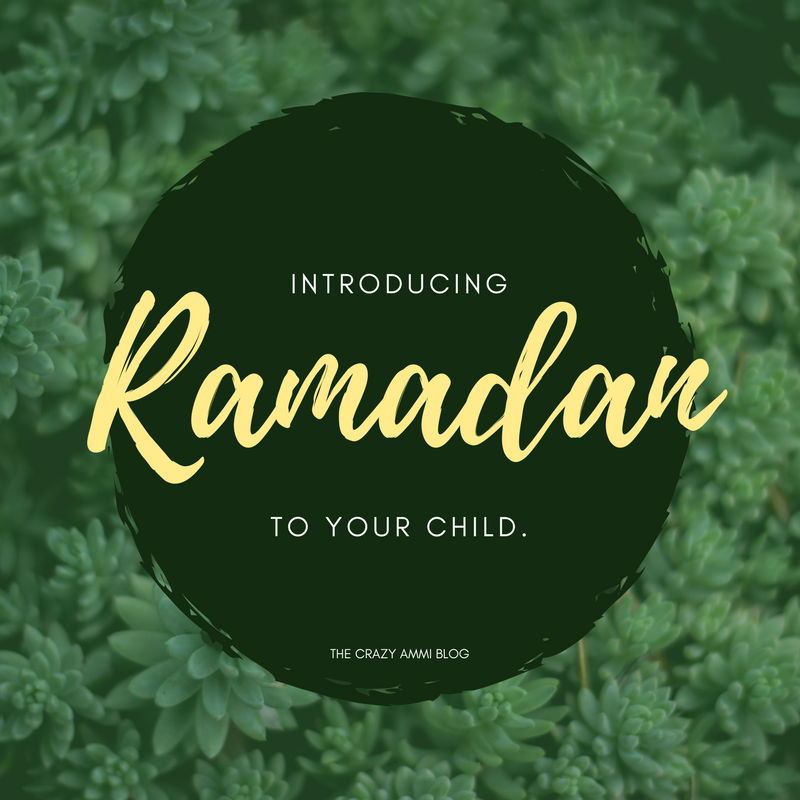 But what do you do when you must introduce our child to Ramadan? As a kid, I was terrified of fasting. The long fasts, school work, tuition and then helping in the kitchen. I used to dread fasting. But as I got older and learned the concept of Ramadan I felt guilty for feeling the way I used to feel. For me, I have promised myself to make my son love the concept of Islam first and slowly and gradually introduce him to the five pillars and not just make him follow it just because he is a Muslim. Make your child love Allah. Do not in still the fear of punishment and judgement in him yet. Tell him how gracious Allah is. How happy Allah gets when you do good deeds and remember Him. So how do you break the concept of fasting and Ramadan to your child? 1. 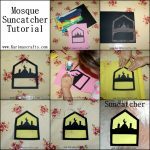 Make Ramadan a BIG event in your house. Forget birthdays and holiday festivities for a second. Imagine how happy your child will be when there is a WHOLE month of absolutely happiness and complete festivity. Decorate your house. Make your child do craft activities every day. Children love glitter and sparkles. Use that in your craft activities. Help you child decorate the house like THEY want to. This way they will look forward to this every single year. 2. Establish prayer as a family. My son is three and he still doesn’t know the concept of prayer. And I don’t mind it yet. He knows when I am praying, it is should be peaceful. He randomly asked me one day that why do I pray? I didn’t tell him that Allah has made it obligatory or anything. I just said He has blessed me with the most amazing son and a husband and a good house and I have to make sure that I thank Him. If your husband doesn’t go out to the masjid to pray, then pray as a family. Ask your husband to lead the prayer. Your child will catch on to it and will sketch this in to his memory when he thinks about Ramadan. 3. Celebrate and cherish their fasts. If they are old enough to fast, then celebrate their fast. You don’t need to host a grand party for their first fast. Just bring in a cake, maybe a small gift and cherish it along with him. This will give them the sense of achievement and they will look forward to fasting the next day! If they aren’t old enough to fast, then ask them to help around with the chores. Maybe laying the table down. Or just putting dates in everyone’s plates? Put a reward chart for them. Tell them how happy Allah will be. 4. Introduce your child to the positive of fasting not the negative. Tell them the benefits of fasting; of how it cleans our body of bad things. Our mind of naughty thoughts. How closer it brings us to Allah. How it shows that we are blessed with so many things and we have enough to eat in our house. 5. Make Eid the next big event after Ramadan. If you are living abroad and not in a Muslim country, your child can be effected with the cultural festivities of that country. I let my child include himself in the holiday festivities of the country. But make sure that your son looks forward to Eid as his own event and know that this holds more importance. If you are living away from family and friends then do small things as family. Like a moon hunt. Hide few moons around the house and give them clues to find the moon gifts. Morning surprises are going to looked forward to! Make Ramadan a whole month of kindness and being humble and happy. Stay positive for the sake of your child. If you moan about how long the fasts are and how hungry you feel, you child will most definitely catch up on it. Although Ramadan is a whole month of fasting and praying, make sure that your child feels happy during the month and not feel left out because you are tired or you just want to keep on praying continuously and then move on in the kitchen to prepare suhoor and iftaar. 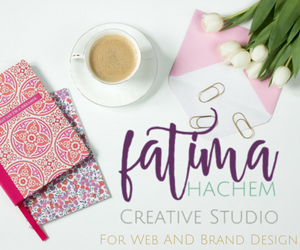 Ayesha Farhad is a parenting and lifestyle blogger from London. A total doodh-patti chai addict. Always ends up buying more mascara than the average beauty junkie and dreams to lose weight while eating a huge bag of tortilla chips with her son. 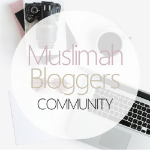 She was also the June 2017 Featured Blogger for Muslimah Bloggers.